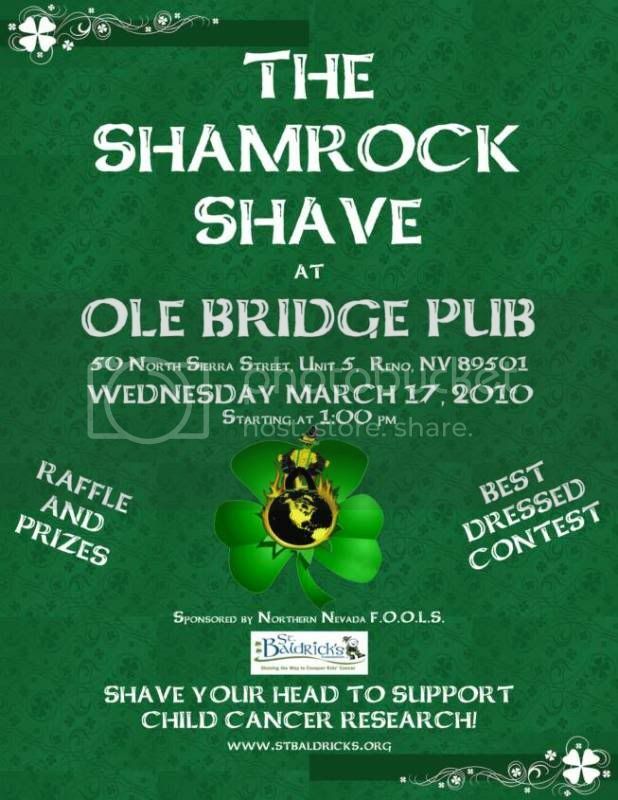 I'm putting together an event on March 17, 2010 called the Shamrock Shave. This event is being done in conjunction with the St. Baldricks foundation, and simply put, people volunteer to have their heads shaved, 1) to show solidarity with children suffering from cancer, and 2) to raise money through pledges in order to fund children's cancer research, and grants to further that goal. Every little bit helps, so please, donate whatever you can. Also, please feel free to join us for the event! There will be a raffle, best dressed contest, drink specials and more! Please, buy me a haircut! Thanks buddy! Definitely appreciate it! Too bad you can't make the event, its sure to be a good one! hahaha thats what i though at first, then i reread it. 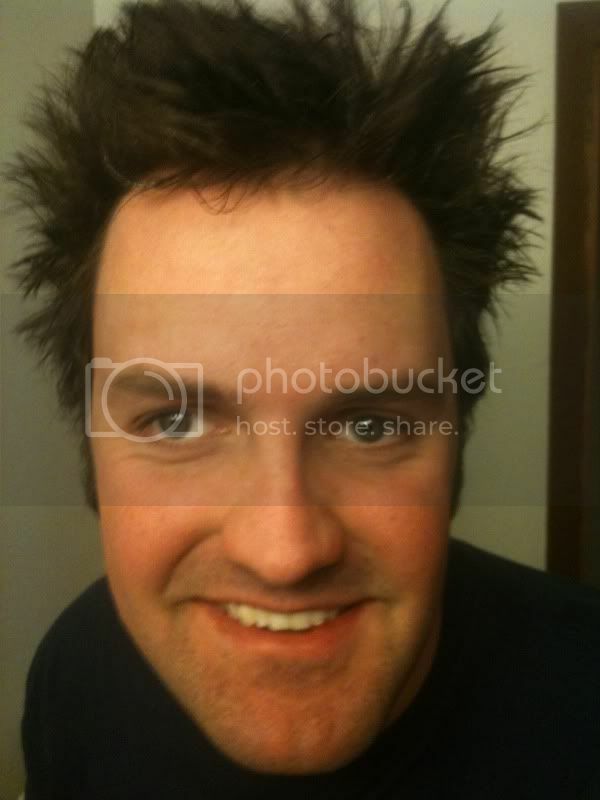 if they aint gunna use the hair i aint shaving my goat! Blackdog wrote: Thanks buddy! Definitely appreciate it! Too bad you can't make the event, its sure to be a good one! yeah i already got a bunch of stuff going on. next year i will be there for sure. C'mon people, one more day!